Microsite for the Mahindra TUV300 is up and has gone live. 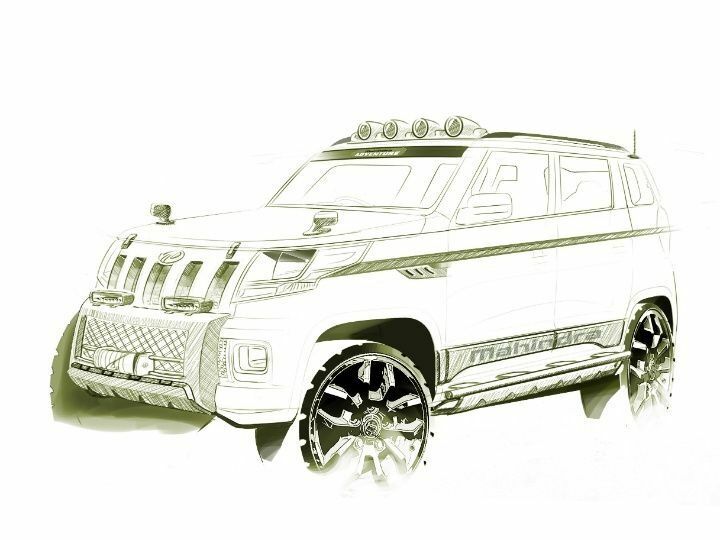 The sub 4-metre SUV from Mahindra’s stable will be launched in mid-September. The website for the same also features a teaser of the compact new SUV. Although, not much is known about this SUV, the design team did explain that the automaker has taken help from the legendary Italian design firm Pininfarina to build a tough-looking SUV. The TUV300 will boast of a distinct shoulder and will also have a tail gate mounted spare wheel. The Mahindra TUV300 is based on an all-new platform. A 1.5-litre engine that is from the mHawk engine family will power the new Mahindra TUV3OO. This new engine will be called the mHawk80. The TUV5OO will also be made for international markets in both left hand drive and right hand drive and will be exported mid next year as the LHD version is still in prototype stages. The TUV300 was developed at the Mahindra research valley in Chennai, and will be produced at the company’s Chakan plant, which also manufactures the Mahindra XUV500.